Just click on the “Teaching Tips” header at the top to find the section where LiveSpeakLove is featured. 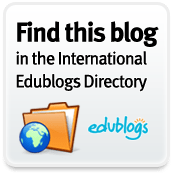 The entire list is a wonderful compilation of sites written by passionate SLPs like me that want to make a difference in the world by sharing information and resources. I am humbled and thankful to be included on this list…thank you everyone for your support!